Quick Weave Hairstyles That Can Be Worn With Any Type of Extensions w/ Zero Hair Left Out! When quick weave hairstyles are thought of, the first thing that comes to mind for many black women are tracks being bonded (glued) onto your natural hair, prior to being wrapped and molded down with styling gel. For others, some may consider it to be anything that allows you to change your hairstyle in as little as two seconds. 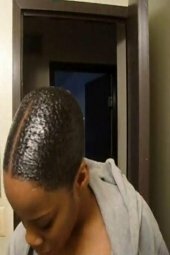 This could be something as quick as a drawstring ponytail, clip in extensions, 27 piece weave, invisible part, or quick weave/wig cap. Anything just as simple and quick as a brush and go hairstyle, and does not entail an enormous amount of styling time; can simply be defined as a quick weave hairstyle. 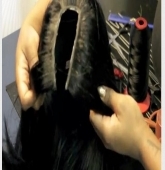 27 segments of hair, sewn onto a weft produced by different companies. The package will come with a shower cap, stocking cap, and three bundles of hair enclosed which is ordered according to its length. The three bundles are all different which varies in length for the purpose of layering. The shortest bundle will come less than an inch long, which is typically placed near the back of the neck. The second bundle is just about a half of an inch with the third bundle consisting of 1 1/2-2 inches long. 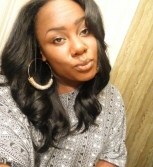 The invisible part is the most natural looking of all the quick weave hair styles. This particular method gives the appearance of a natural looking part due to the visibilty of the scalp being left out at the selected parting location you choose. 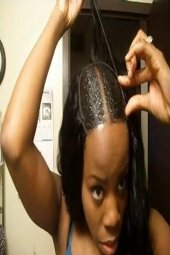 Quick weave caps are created with bonding glue. This look is basically a custom made full wig applied to a shower cap, for the benefit of being able to take it on and back off.They are very inexpensive convenient and can only be worn for a short period of time. 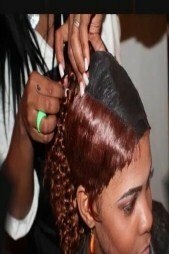 This quick weave method can also be sewn onto a net, which is often a preference when using more expensive weave.The finishing result of this particular quick weave is very similar to the appearance of wearing a full head wig. 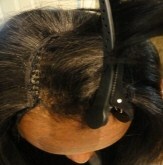 A U-part wig/weave gives you the ability to leave a small segment of your hair out at the crown. 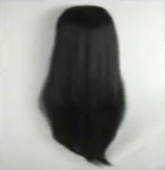 The unique wig is made with an opening at the top shaped into a “U” pattern. 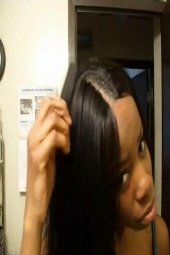 Many people refer to this “U” pattern as a “Horseshoe”, when doing the traditional sew ins. The small portion left out at the top is needed to overlay the weaving details, using it as a natural closure. Due to this, the texture and color of your wig should be blended very well with your real hair in order to achieve the perfect end result. A drawstring ponytail is one of the quick weave hairstyles that are great for achieving an instant hairdo in as little as five minutes. This look requires your hair to be brushed up into a neat and sleek looking bun using your favorite styling gel. Brands like Ampro and Isoplus conditioning gel has been the most trusted for years. The ponytail is constructed with a comb engraved inside the top and one at the base. The string attached to it is what’s called the “drawstring” which permits you to draw tight until the ponytail has a snug fit. 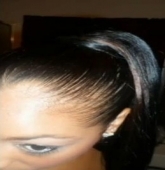 These ponytail quick weave hairstyles can be purchased in a variety of styles. You can buy them short, medium, or long in length, as well as curly, wavy and even straight in texture. Some women use bobby pins to give an extra secure fit. Clip in AKA clip on extensions are pieces of tracks sewn onto a weft using pressure sensitive clips. 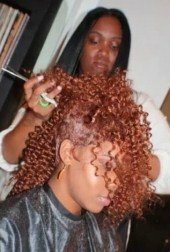 The extensions with these quick weave hairstyles can be placed onto your hair the exact same way you would place regular tracks into your hair with bonding glue or sew ins. The biggest advantage is the “Snap On Snap Off” method in as little one second. This method will give you the ability to move the tracks around, once they’ve been placed without the cleanup of pore clogging glue, or the unbraiding of hair used with a sew in. 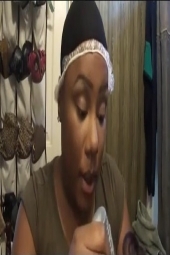 The creation of a 27 piece weave, invisible part, or quick weave/wig cap will all be great ideas, if you want a look that appears natural, but the color and or texture of your hair just doesn’t seem to blend with the weave you wish to use. 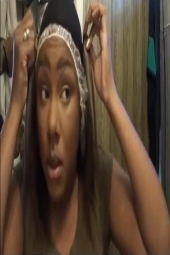 The invisible part is one of the very unique quick weave hairstyles because it gives you the ability to rock any colored weave incorporated with a visible part in the scalp, no matter the color of your real hair. Copyright© 2019 Modern-hair-styles.com All Rights Reserved.